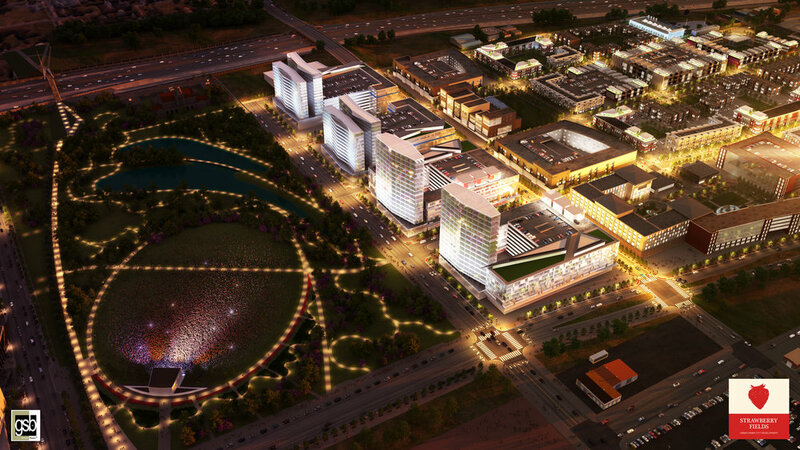 A 50-acre, shovel-ready development project surrounded by 1 billion dollars worth of investment currently under construction including the new OKC Boulevard, Convention Center, Omni Hotel, 70-acre Scissortail Park, and Modern Streetcar system. Strawberry Fields’ plan is perfectly aligned with the City of Oklahoma City’s vision. The City of Oklahoma City has been working to increase density and improve the quality of life in its urban core for the last 25 years. Over that time, the City and State have invested over $1 Billion in infrastructure projects directly adjacent to Strawberry Fields. Those projects are now coming to completion. As a result, there has never been a better time to invest in Oklahoma City and there is no better investment than Strawberry Fields. With a new park, a new streetcar system, a new convention center and a new boulevard to ensure access, Strawberry Fields is positioned for great success.